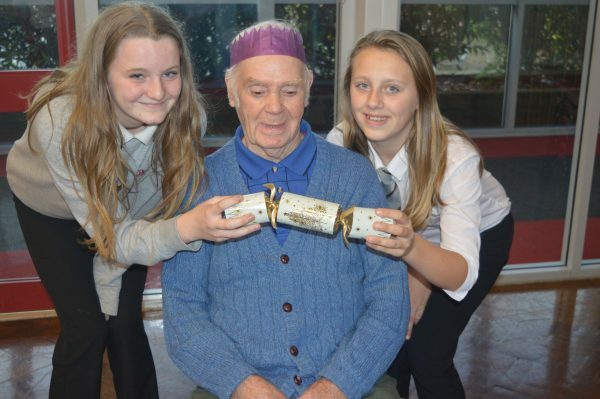 Students at Queen Katherine School, hosted a festive Tea Party for South Lakes Housing’s sheltered housing tenants and students from Sandgate School. The staff and students at Queen Katherine School had been busy preparing for the event for several months by making decorations, crackers and learning how to host an afternoon tea. Tea was served by the students and the student-led student choir entertained with seasonal songs. Father Christmas even made an appearance twice to hand out gifts to the students of Sandgate School and then raffle prizes to the sheltered housing tenants. A sheltered housing tenant commented ’the pupils were so polite and obliging with nothing being too much trouble for them’. Lyn Richardson, Community Engagement Officer of South Lakes Housing, said ‘It was fantastic to see the students and older people having fun together. The school has worked very hard to make this an enjoyable experience for all’.